We used Finite Element Modeling to simulate the pressure of a truck driving over these buried vaults. Iterating to achieve the desired factor of safety gave us confidence before building molds. 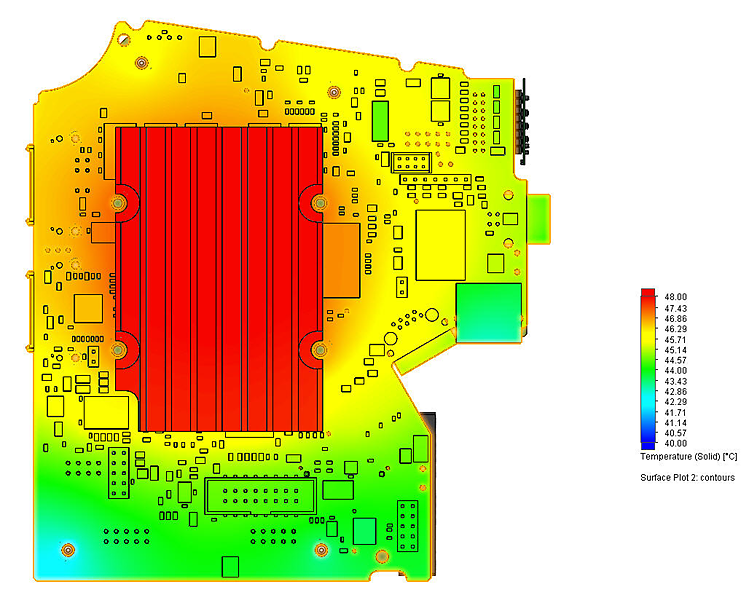 Thermal simulation means better performing heat sinks. A balance between stiffness and lightweight. 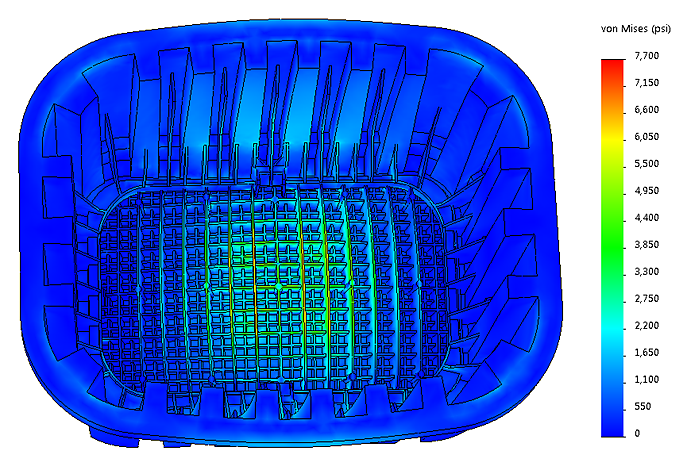 Finite element analyses lets us try numerous combinations of variables before getting it just right. Complete mixing is critical when building an industrial chemical reactor. 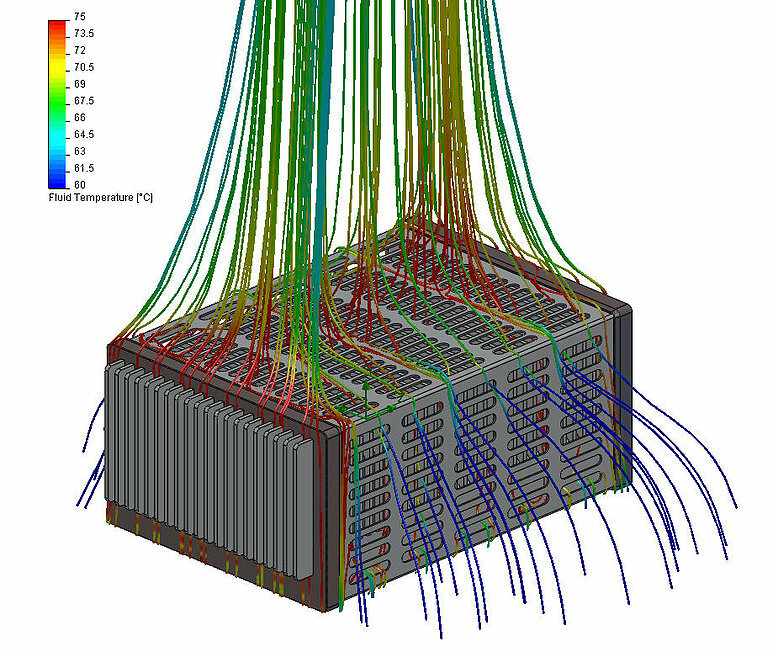 We developed this simulation to test various configurations before fabrication. 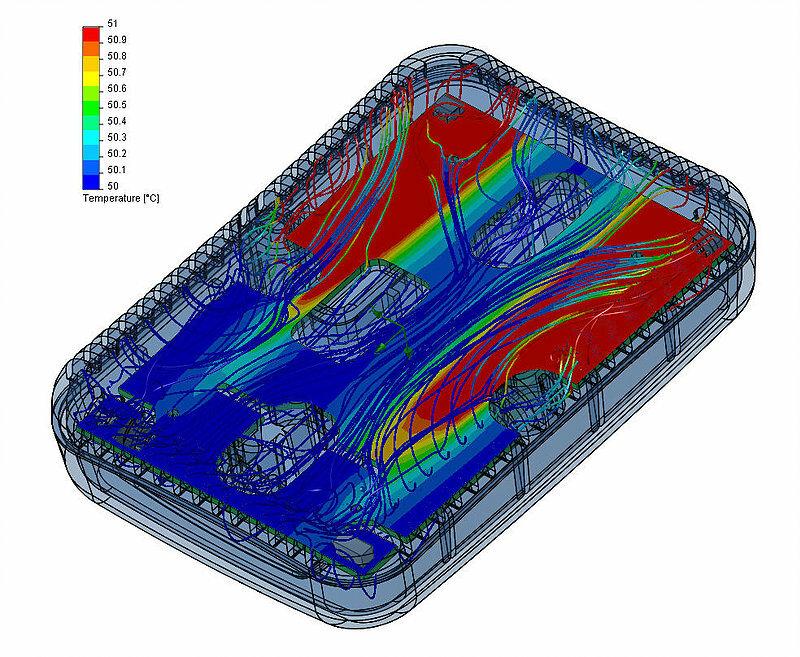 By carefully simulating a product we can accurately predict how hot certain areas and components are going to get. By modifying geometry we can achieve whatever conditions are desired. Sometimes just allowing air to flow freely over heat generating electronics is not enough. In this case we needed to add three fans to provide the cooling. The leading manufacturer of tablets found out that their glue machines were limiting their ability to satisfy demand. Their current robotic dispensers and nozzles could not lay down a uniform amount of glue in less than 12 seconds. 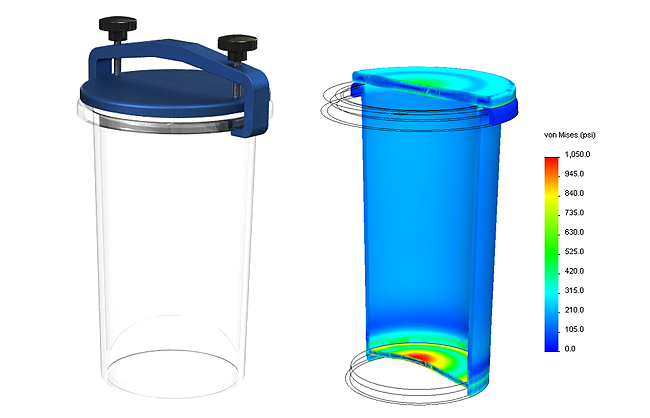 We redesigned the glue stations and nozzles using CFD simulation software to reduce the application time to less than 3 seconds and simultaneously improve how uniform the application was. With tens of thousands of units needing to be delivered within a short time frame our client realized their current 3D glasses had a design flaw causing the lenses to crack. 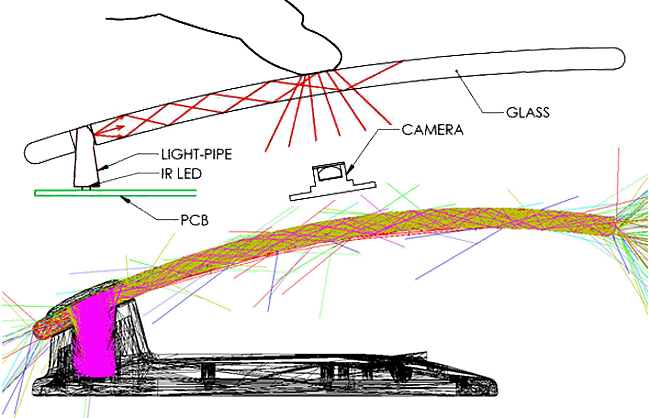 designPORT was brought in to quickly pinpoint the source of the problem and propose a design change to remedy the issue. 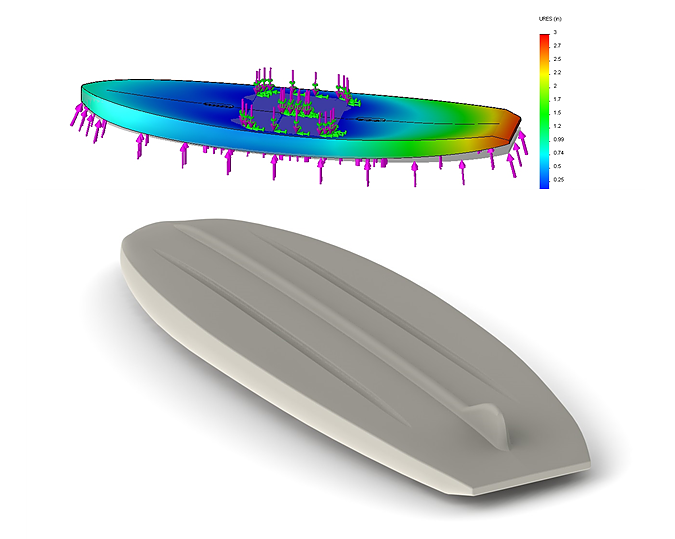 A series of Finite Element Analses (FEA) allowed us to locate the geometry at fault and test a variety of potential changes before implementing the best solution. This pressurized enclosure was popular with customers but the margins were very low due to the expensive part costs. 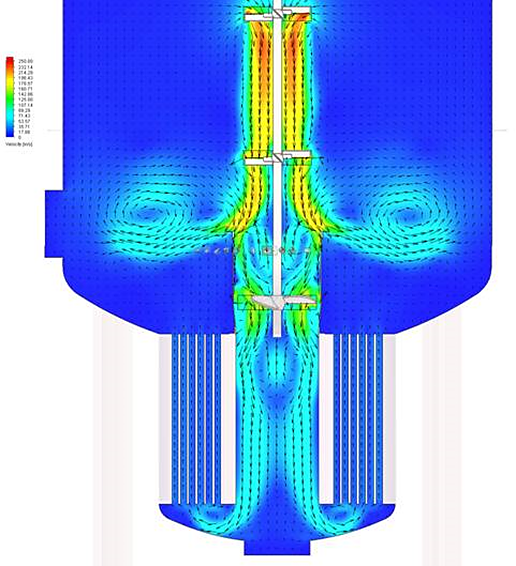 designPORT simulated the internal pressures and stresses then reduced the volume of material by 40% without sacrificing performance or safety. The result is that this is now one of our clients most profitable items.